Giving your eLearning course a voice offers a wide range of advantages, including a boost in user engagement and knowledge retention. However, these benefits can only be achieved if your voice over is carefully created and offer real value to the overall eLearning experience. 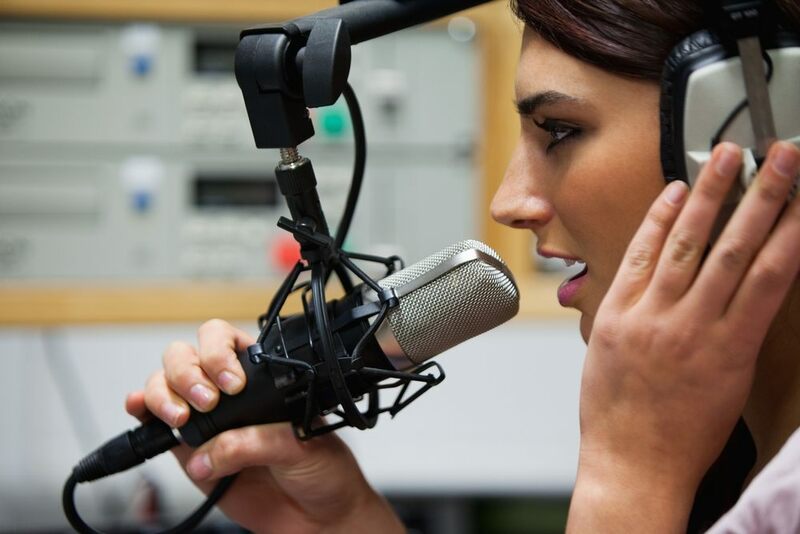 In this article I'll share 7 invaluable tips for effective eLearning voice overs. Creating eLearning voice overs may seem like a simple and straightforward task. After all, how hard could it really be to narrate your eLearning course, given that you're practically an expert in the subject matter by now? But the reality is that developing eLearning audio can often prove to be a time consuming and stressful challenge, for even the most experienced eLearning professionals. Here are just a few top tips that can help you create eLearning voice overs that engage, entertain, and enlighten your learners in a fraction of a second. Map out your eLearning voice over. Even before you sit down to write your script or hit that “record” button, you'll want to create a detailed outline of what should be included in your eLearning voice over. This is particularly useful if you haven’t already written text on-hand. Develop a list of learning goals and objectives or key ideas you'll need to include in the voice over. Also, map out the flow of the script, such as what ideas you'll need to cover first and the general tone, and keep the images, graphics, and videos you'll be using in mind. Keep the script natural and conversational. While you will always maintain a sense of professionalism, your eLearning voice over should be natural and conversational. You want the learners to feel as though they are listening to someone who is personable, friendly, and compassionate, rather than a narrator who is cold and business-like. So, when writing your script, create content that reflects what you would normally say. Keep sentences concise and use one voice all throughout. Be informative and authentic, so that your learners get the sense that you know about the topic, while still maintaining a sense of relatability to build that essential connection with your audience. Ideally, you'll want to decide on the tone, and the narrative voice, whether you are going to use first, second, or third person narrative, before you sit down to write the script, so that you stay consistent all throughout. When creating your eLearning voice over script, keep in mind that 100 words usually equates to 1 minute of recording time. This will help you to keep your lessons brief and engaging, rather than drawn out and boring. It will also allow you to time your screen transitions. For example, if you include 100 words of text on a screen, then you know that you'll have to leave the screen up for about a minute to allow the learners to read about the topic that is being discussed in your eLearning voice over. Always do a test round. Despite the fact that you may have devoted countless hours to fine tuning your script and pare it down to a manageable length, you will still want to do a test round to ensure that everything flows effectively before you start to record; even if you hire a voice over artist to read the script for you. It will give you a chance to rework any content that may be off-topic, irrelevant, or not in-line with the overall tone of your eLearning voice over. Don't be afraid of silence when you're creating your eLearning voice over. It's best to give your learners audio breaks, so that they are able to effectively absorb and process the information, rather than rushing them into the next topic by filling every second with narrative. You can use silence to let your listeners know when it's time to move onto another idea or lesson, or even for emphasis when they need to examine a chart or graph that is being shown on the screen. Don't let the audio steal the show. It's important to remember that the eLearning voice over you are creating should not be the center of your learners’ attention. Instead, it should merely be a learning aid that allows them to more effectively absorb the content. Ideally, they will begin acquiring the information by simply reading the text, and the voice over will help to boost knowledge retention. As such, try to avoid distracting sound effects, and voice overs that may be too dramatic or over-the-top, such as narrations with heavy accents or character portrayals. Use the voice over to draw their attention to key points that are on screen, to give them real world examples that involve the subject matter, or to ask them thought provoking questions that make them pause and reflect upon the topic. Ambient noise is not your friend. Your recording space should be free of any noisy objects, such as fans, air conditioners, or even computers that could interfere with the quality of your eLearning voice over. However, even if you record in a space that is quiet, you are probably still going to have to edit out white noise that can distract learners. There is a variety of free audio editing tools that you can use to fine tune your eLearning voice over, such as Audacity. Keep these eLearning voice over tips on-hand when creating your next eLearning deliverable to enhance the quality of your eLearning course, and to provide your online learners with a memorable and exciting eLearning experience that they won't soon forget. In addition, by finding and perfecting your narrative voice for your eLearning course, you gain the ability to create an eLearning experience that is polished, organized, and complete. In the article, 5 Tips To Find Your Narrative Voice For Your eLearning Course, I'll explore how you can discover your narrative voice for your eLearning content, so that your eLearning courses can offer real value to your audience, instead of creating disjointed eLearning courses that fail to meet their learning objectives. Looking for a simple and straightforward guide for adding podcasts in your eLearning course? Read the article 6 Tips For Adding Podcasts In eLearning where you will find all of the information you need to start integrating cost efficient, convenient, and high quality podcasts into your eLearning deliverables.